After Glenn Beck’s time at Fox News ended, he moved to Texas and became a memory both as a television personality and a New York-area resident. But now he’s returning, at least to the airwaves. 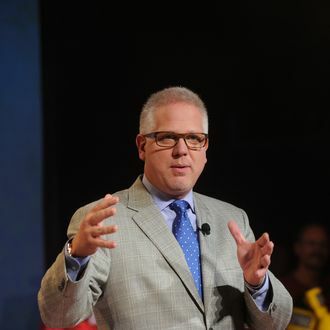 After starting a campaign to beg his way back onto cable, Beck, who still has a radio show and online channel The Blaze, scored his biggest coup yet when Cablevision agreed to pick up The Blaze for the benefit of its three million subscribers. The lineup will include “simulcasts of Mr. Beck’s radio show, a nightly show of his just for the channel and a nightly panel conversation about the news,” wrote the New York Times’ Brian Stelter. Glenn Beck hates New York, so it’s good for him he doesn’t have to physically return with his television network. Good for us too.